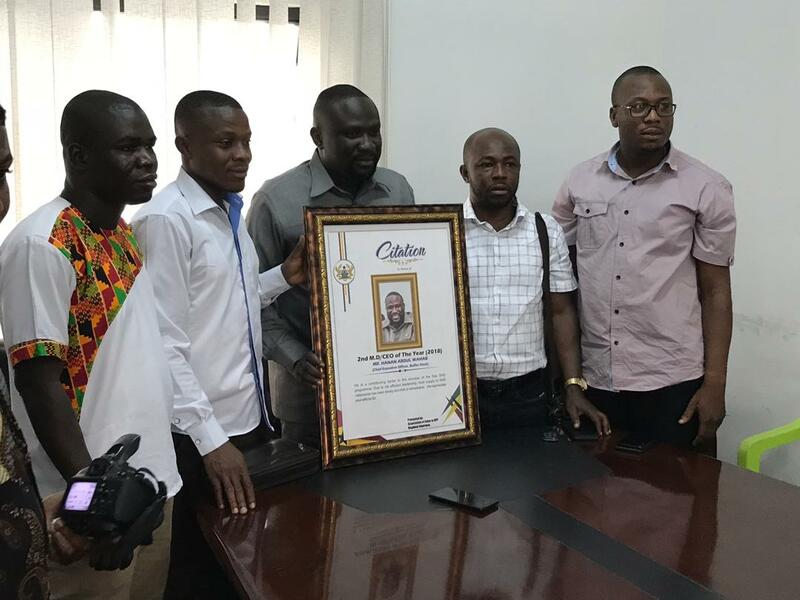 The Chief Executive Officer of the National Food Buffer Stock Company, Hanan Abdul Wahab has emerged the second best Public Sector Chief Executive Officer in Ghana. 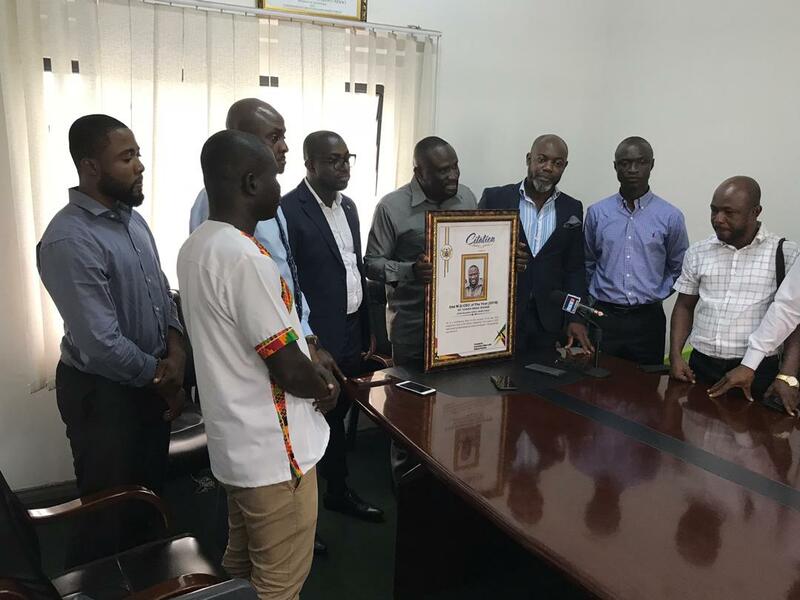 The award was conferred on Mr. Abdul Wahab by the Association of Aides to New Patriotic Party Regional Chairmen after a survey in all the ten regions of the country. Speaking at the award presentation ceremony, the Aide to the Upper East Regional Chairman of the NPP Theophilus Abolga said some 1,200 respondents were sampled and questionnaires administered, culminating in the outcome of the research, which has the Managing Director of the Electricity Company of Ghana (ECG) emerging tops, as best CEO for 2018. ‘’In the last one year, the aides to the NPP regional chairmen have taken to appraise our government appointees. There usually were complaints about non-performance. So we decided to come up with something innovative to appraise and see how they are performing. So we undertook a survey across the country and coming out with our findings, we had about ten appointees who had performed creditably well. So in January we came up with a list and on top of that list was the name of the National Food Buffer Stock Company boss’’ he said. According him, Mr. Abdul Wahab has helped within this period to improve food production in the 3 Northern Regions, thereby helping deal with the challenge of food shortage that kept students of Senior High Schools at home because of lack of food in the schools. ‘’I can tell you that even some of the schools in the North do not have enough store rooms to store food. Because there is so much food that the caterers are usually asked to keep some of the food and that is ample evidence that the CEO has been very efficient and hardworking’’ he added. Mr. Hanan on his part dedicated the award workers of the company and thanked the Association for their objective assessment of his performance, adding that the research could not have come from a better organisation, since they are always on the ground and are in touch with happenings there. ‘’In 2019 we are going to do our best to first of all boost the production of our farmers, government is doing a lot under the planting for food and jobs. To my sector Minister, he has given me this great opportunity to participate in this noble programme and today the results are showing everywhere. There is food everywhere and we are feeding our students with what we produce here locally, all thanks to him and his Excellency the president, I am very grateful to him, I will communicate to him, this award too and to personally thank him for the opportunity’’ he said. Mr. Abdul Wahab said they are currently constructing some warehouses to accommodate the excess food that is being expected under the planting for food and jobs programme, adding that some neighbouring countries are turning to Ghana to learn the planting for food and jobs model so that they can replicate same in their respective countries. 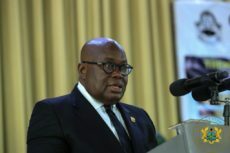 He added that through the company’s work, they have also been able to resuscitate some ailing local processing companies including the palm oil processing company and the CPC Processing Company among others, noting that the outlook for 2019 was very good as they look forward to improving their overall performance.